A tasty cup of morning coffee can set your mood for the entire day. Bean Box makes sure it won’t be a bad one! This coffee subscription box provides subscribers with new coffee roasts to try every month. If there’s one thing they emphasize, it’s high-quality coffee. They partner with only the best roasteries around Seattle and Portland. 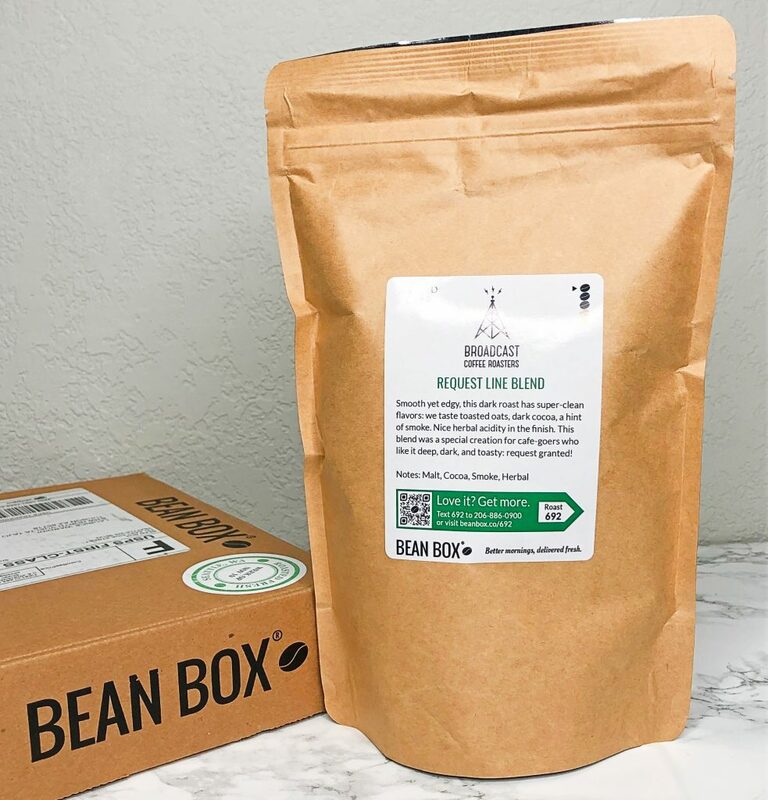 Bean Box offers two box options: a coffee of the month ($26 per month) or the coffee sampler box ($24 per month). The coffee of the month provides one 12 oz bag, and the sampler plan includes four 2 oz bags. As you can see, you get more with the coffee of the month plan. Because of this, I switched from the sampler boxes in my previous Bean Box reviews to the coffee of the month plan. This November review shares my coffee of the month, how to get a free trial of their sampler box, and similar coffee subscriptions! My coffee of the month arrived in the same cute box that it usually does. 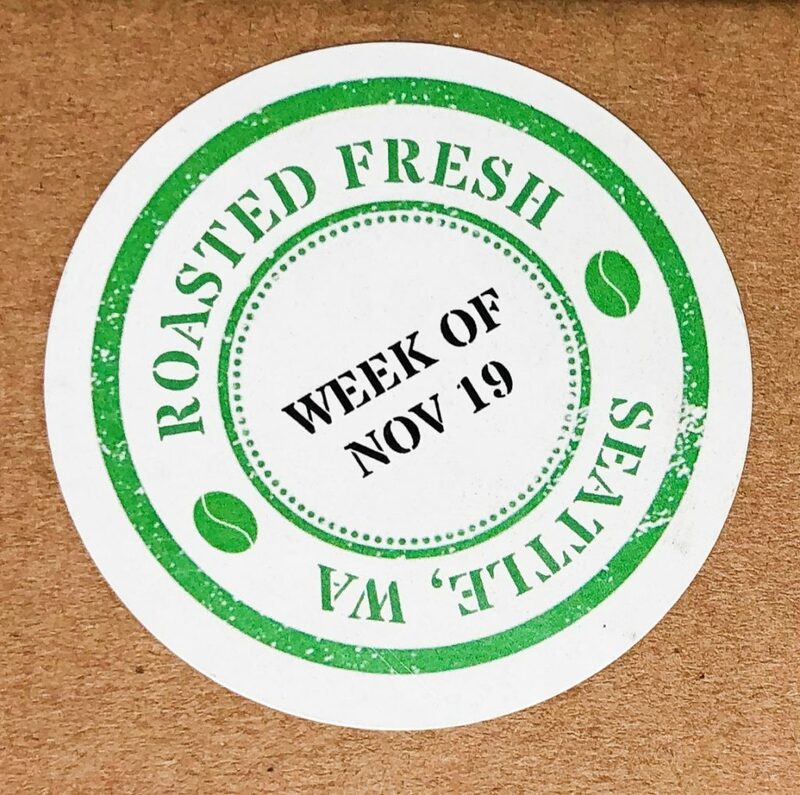 I love how they put the roast date on the outside so I know how fresh it is (this one was roasted about a week before delivery). Inside, the box has a pretty design of the Seattle skyline. My 12 oz bag of coffee was tucked inside, along with a small candy, which they usually include. My coffee preferences were still set to all roasts, so I got this dark roast blend. I do enjoy dark roasts, but I prefer medium or light roasts so I can make cold brew. That’s alright, though; this coffee was still yummy. Thankfully, it wasn’t the darkest I’ve tried and was pretty smooth. It tasted very rich—perfect as a hot coffee with a little honey and coconut milk! I made it with the portable coffee maker I got in a Bespoke Post box, and it worked great. I liked the 12 oz bag much better—it still allowed me to try a new roast, but I got much more coffee. Bean Box usually offers a free trial for their sampler box. While you need to pay $3.99 for shipping, it’s still a great deal to try it out! This offer is occasionally unavailable, or they have a deal for a $5 first sampler box with free shipping instead. If this is the case, you can sign up through a referral link or use the code “REFER-71110” at checkout to take $5 off! This would make your first box completely free if they have the $5 box deal. Unfortunately, there isn’t usually a comparable deal for the coffee of the month plan (other than the $5 off with the referral link or code). If there’s one negative quality about Bean Box, it might be the premium price. Their plans are a bit spendy compared to the amount of coffee you get. That said, I still think it’s worth it. You pay a small premium for the excitement of trying new, personalized coffee roasts. However, if you’d prefer a more budget-friendly coffee subscription box, there are a few other options that I’d recommend! If you love the idea of trying new coffee roasts for a bit cheaper, Angel’s Cup is perfect. This subscription is exciting because the coffee comes unbranded, so you try it before you actually know what it is! If you really want to know the roast beforehand, you can obviously peek online to see what it is (and ruin the surprise). Plus, you can view all of the roasteries they work with on their website. Their monthly prices? $10.99 for four 1.15 oz sample bags, $22.99 for four 2.75 sample bags, or $19.99 for one 12 oz bag. 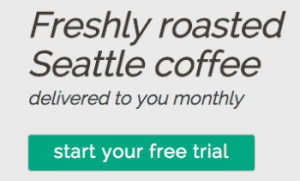 If you don’t care much about trying new roasts, Blue Bottle (a popular coffee roasterie) offers monthly subscription options for their coffee. They offer a free trial box—you don’t even have to pay for shipping! You can try out a single-origin assortment, blend assortment, or espresso assortment. A 12 oz bag costs $18, rather than Bean Box’s $26. They also have larger bags to choose from that save a bit of money (for example, three 12 oz bags are $47). 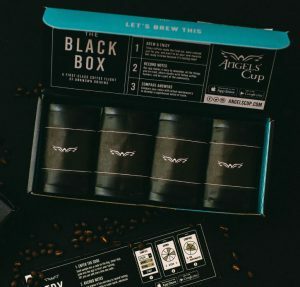 These are just a couple coffee subscription box examples. If you have a favorite roasterie or brand, you should check out their website to see if they offer a subscription. Many companies are jumping into this subscription trend! To sum up this Bean Box review, I was pleased with this month’s coffee! The coffee of the month plan allowed me to try a new roast while providing a larger amount of coffee, so I definitely prefer this option. However, if you’re new to the subscription, I would recommend trying the sampler box first because of the great free trial offer!